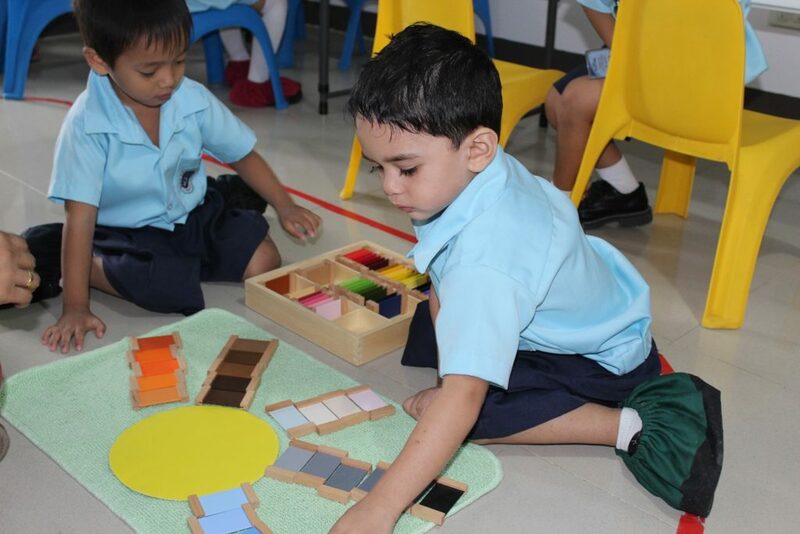 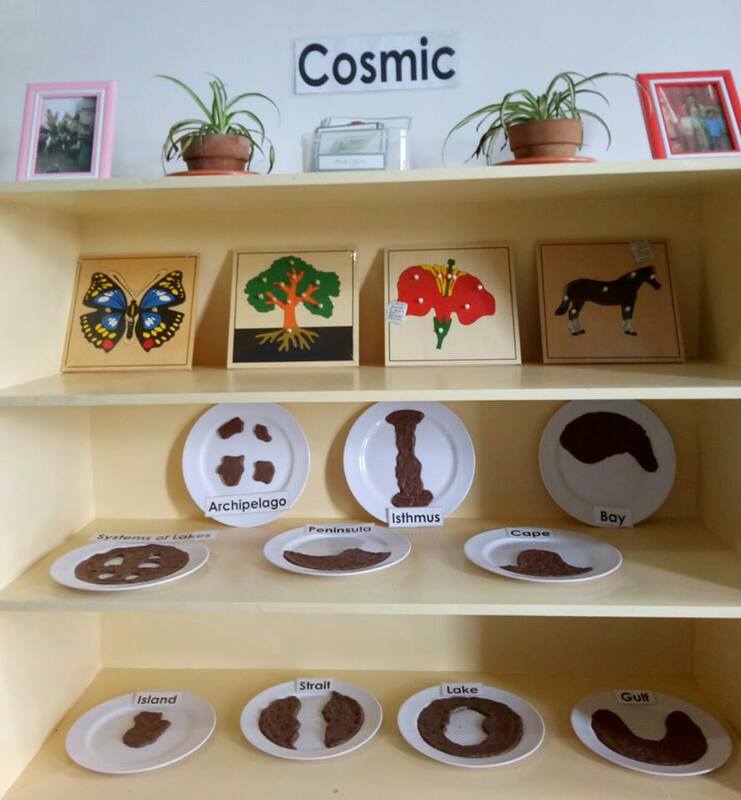 Montessori classrooms are set to have many areas for children to learn and play any activity, in various ways: independently, in pairs, in groups, at tables, and even on the floor. 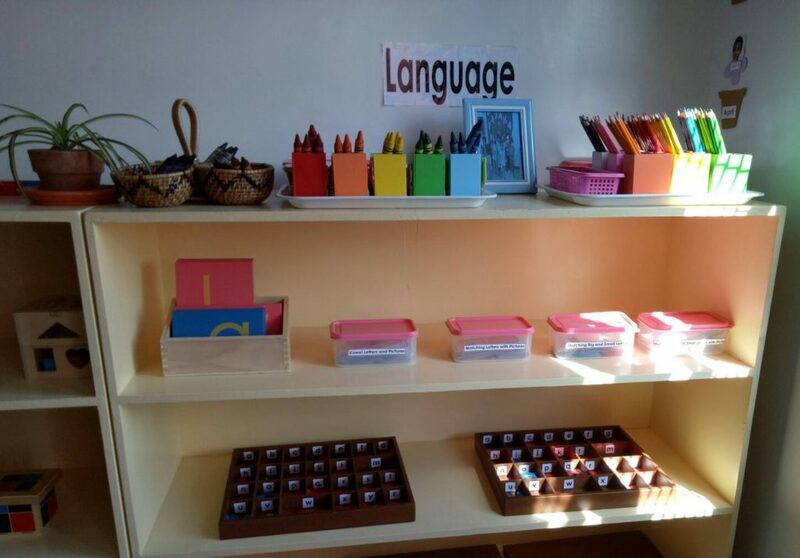 Each room is designed to be a welcoming, attractive, conducive to learning. 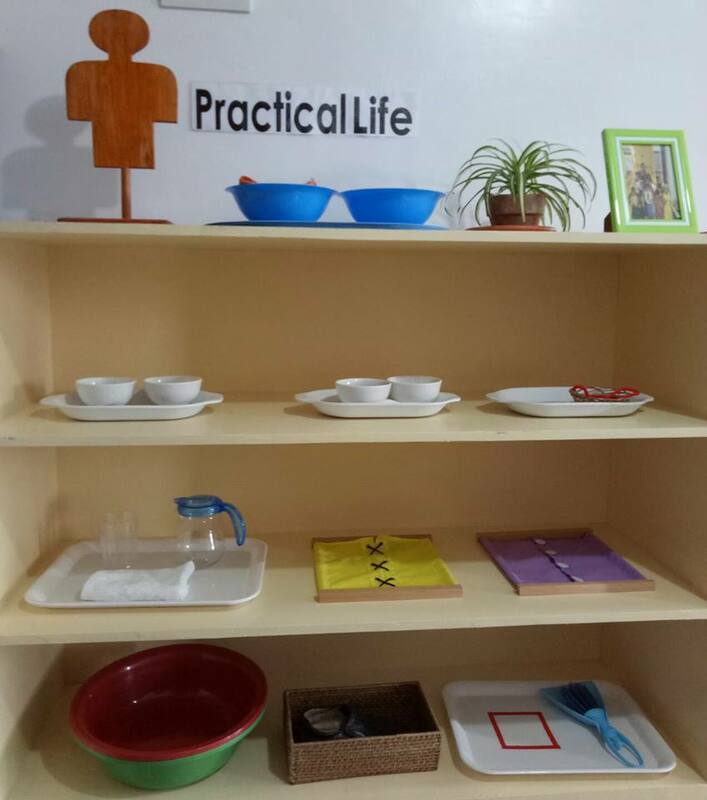 Aside from the educational materials, every item used is scaled to the child’s size, including furniture, dishes, cleaning materials, and shelves. 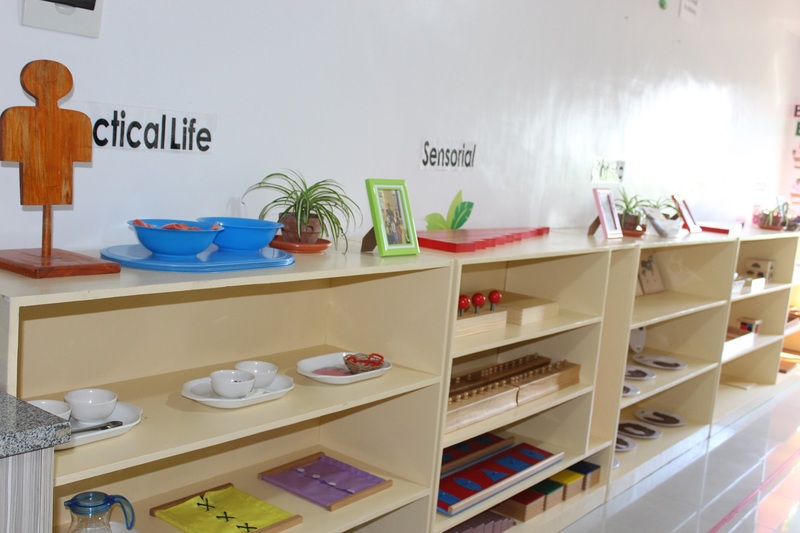 Bright and attractive colors, natural and fascinating cultural materials, and interesting pictures on the wall all provide children sophisticated sensory and intellectual encounters. 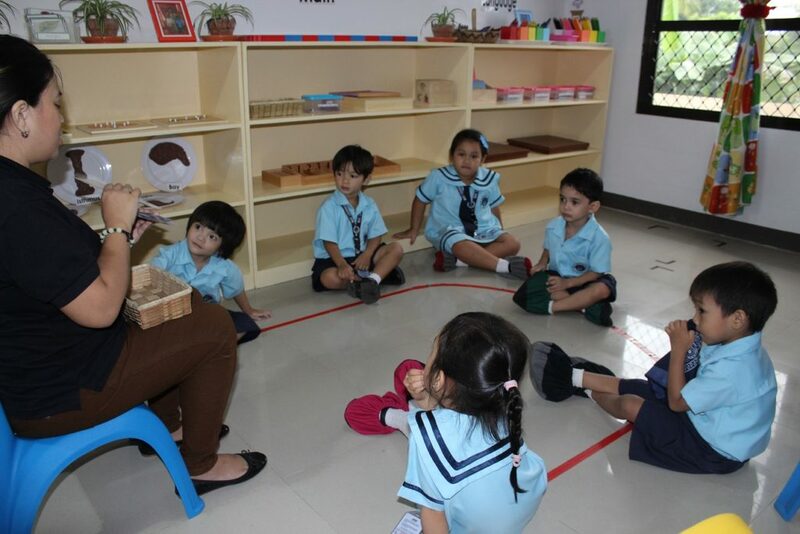 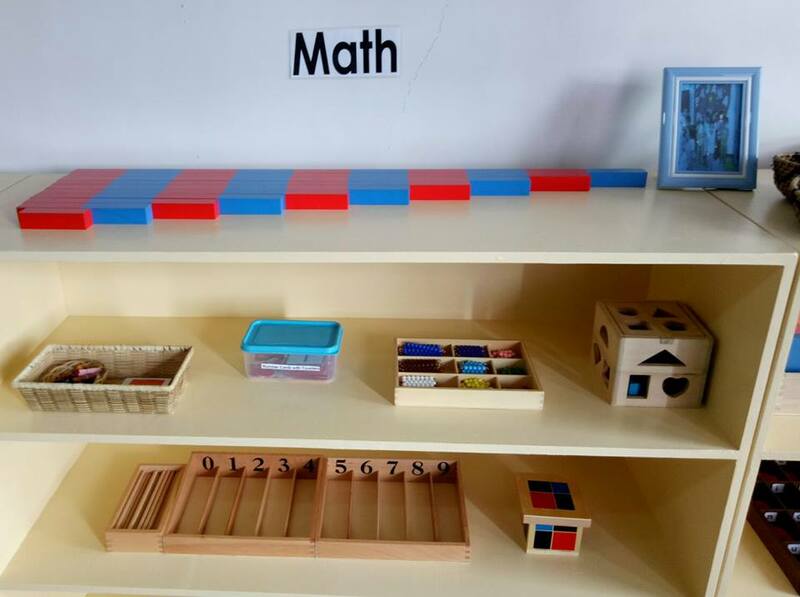 Also, Montessori classrooms spacious enough to accommodate all students, allowing them to move freely and comfortably. 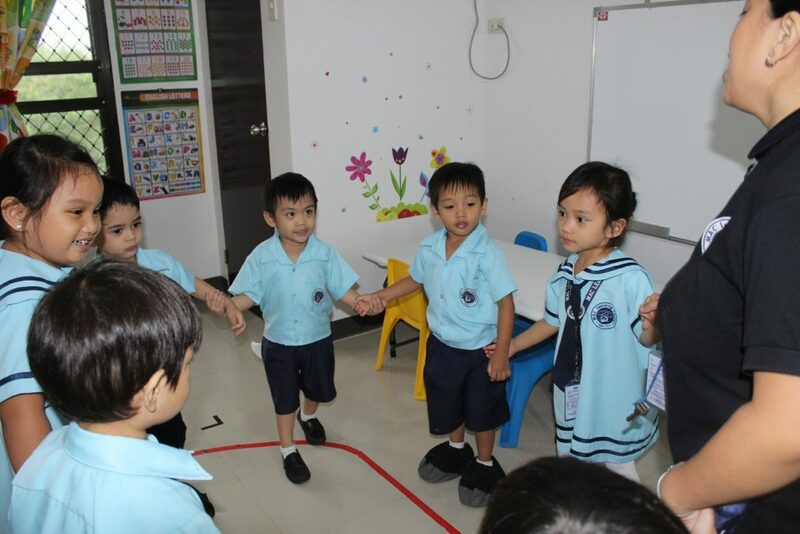 During circle time, open space should be adequate for them to sit together. 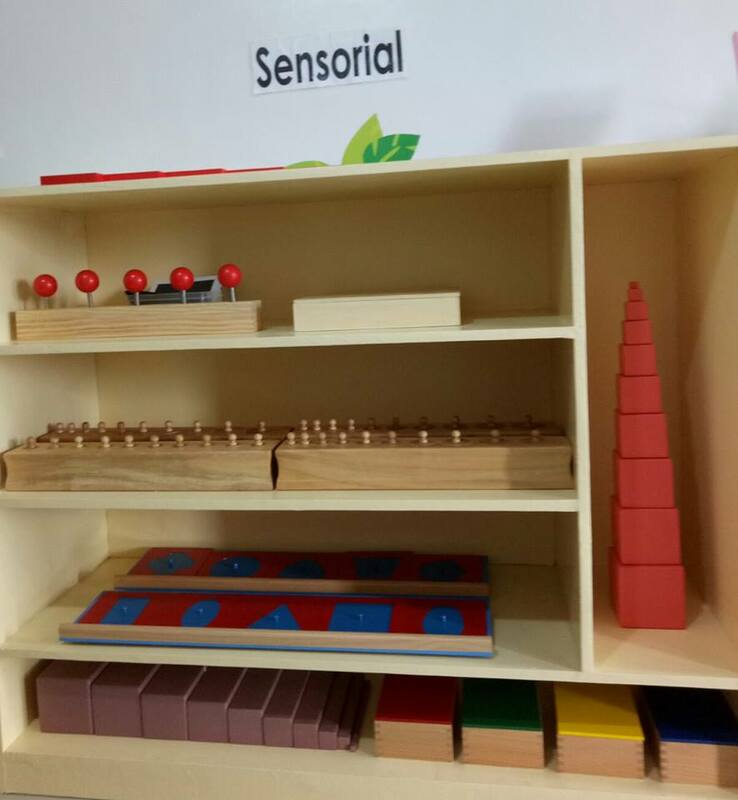 A Montessori classroom not only encourages hands-on learning but it is a necessity to make the environment as interactive as possible. 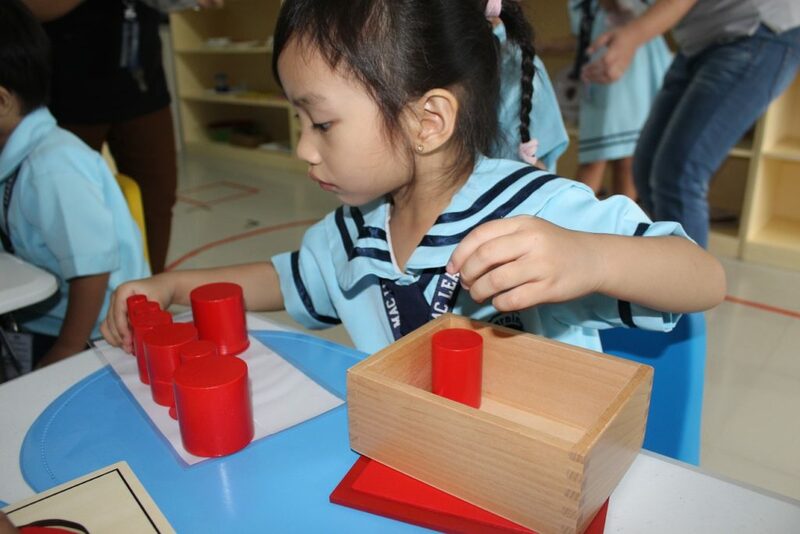 The setup should allow each child to use their mind, body, and senses to learn, thus every activity makes a meaningful engagement with their whole self. 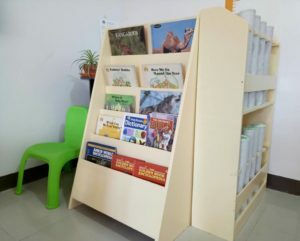 View more photos in our GALLERY SECTION.